Through the Eyes of Children is a nonprofit organization that teaches photography to vulnerable children and helps them to share their perspective within their communities and across the globe. Photography is taught in workshops designed to expand the children’s vision and knowledge of photography and art. This platform offers them an opportunity to document their own lives and share their voice. Founded in 2000, the project began with children as young as eight years old who were orphaned by the 1994 Rwandan Genocide Against the Tutsi. Annual workshops were conducted over 11 years with the same group of 19 children and resulted in exhibitions of their photos throughout the world. Funds raised through the children’s photography helped to pay their school fees and proved to them that people valued their perspective and wanted to see Rwanda through their eyes. Today, these children, now adults, are extending the project’s mission by teaching photography to other vulnerable children around the world. 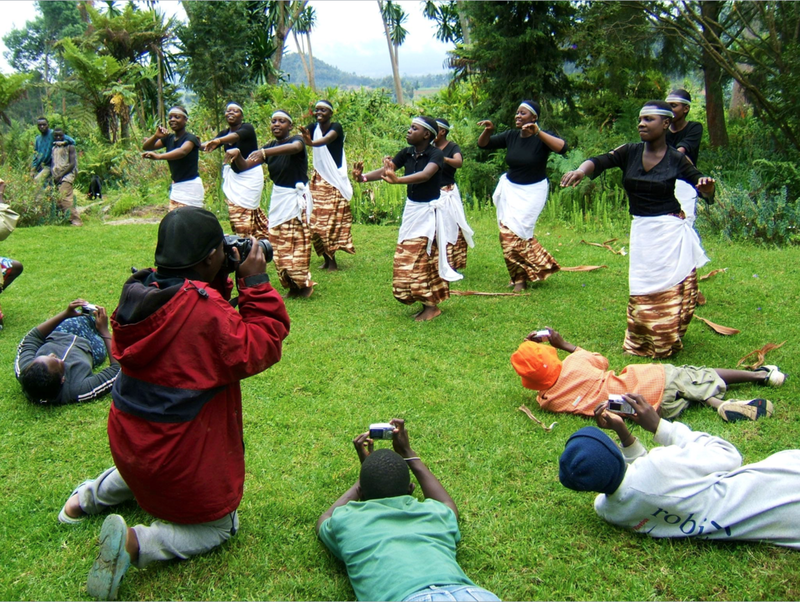 Initially, the film was developed locally in Rwanda and the photos were displayed on the orphanage walls. The children also saved their photos in personal albums and, for the first time, were able to keep photos of themselves. Since then, the same children have participated in annual workshops from 2000 – 2011. Their photographic body of work documents their lives in Rwanda as the country was rebuilding. In the Spring of 2001, after David completed his first workshop, he invited photographer Kristen Ashburn to help teach the annual photo workshops, edit the children’s work, craft exhibitions of their work, launch a website and create a system by which the children’s images could raise money for their education. He engaged Jenifer Howard to lead project public relations efforts and Joanne McKinney to lead video editing, brand strategy and identity and consult on web development. When David tragically died in 2003, the project continued on through the volunteer efforts of Kristen Ashburn (photographic director), Joanne McKinney (project director), and Jenifer Howard (public relations director). The children’s work has been widely recognized and has been exhibited around the world in such prestigious venues as the United Nations in New York, the Human Rights Watch International Film Festival, The Holocaust Museums of Houston, Texas, and Naples, Florida, in New York and Los Angeles in conjunction with the premiere of the movie Hotel Rwanda and at several universities throughout the U.S. and in Europe. Over the course of 15+ years and through the sale of the children’s photography, significant funds were raised to fund the secondary school education for all of the children at the orphanage. Additionally, the majority of the photographers went on to University, funded by sponsors met through their photographic work. 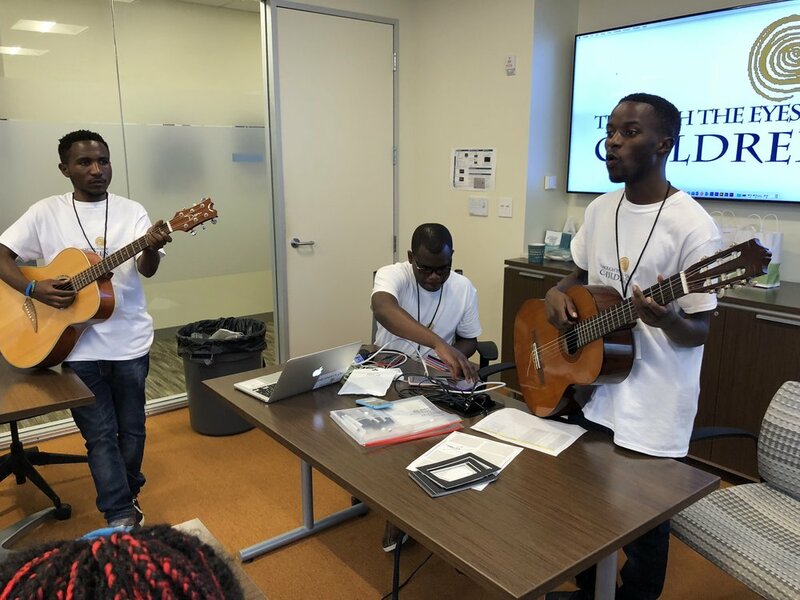 In July 2018, two U.S.-based workshops were held in Orange, New Jersey, with Haitian Immigrant teens and in Boston with foster children. As this project comes full circle, the power of change is transferred from the outsider to the insider. 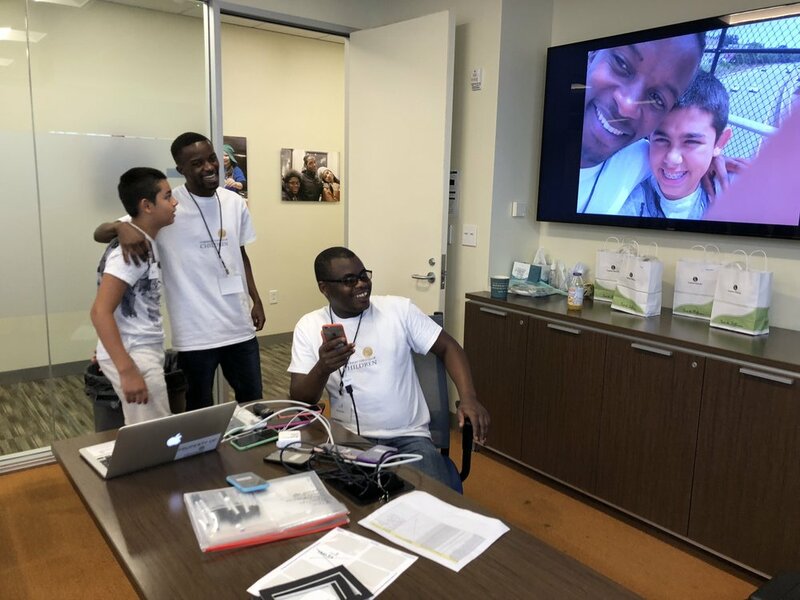 Gadi, Mussa and Bizimana once child photographers and Camera Kids themselves, are bringing their work, their lives, their achievements and their hope for tomorrow directly to the next generation of Camera Kids. Through the Eyes of Children (TTEC) is a 501c3 nonprofit project of Perception; Federal ID number is: 22-3713906. All donations are tax deductible. Periodically we send out updates on the photo workshops. Sign up here to receive our notes.